At Madison Electric we understand that your Los Angeles business cannot afford to be interrupted or even close down just to carry out electrical maintenance and repairs. Our commercial electricians know how to organize themselves around your schedule so that your business can keep up and running even as we work.  At Madison Electrics we have vast experience in remodeling offices, reconfiguring stores, providing retail focused-area rollout, rehabilitating lofts and more. We work both with new construction and remodeling existing structures. If you live in and around Los Angeles and want to rewire, renovate, upgrade or install electrics in your new home, Madison Electric’s have the local electricians for you. We know it is not easy to let strangers into your home. This is why we background check and drug test all our employees, apprentices, journeymen and supervisors alike. They always wear uniforms at all times while on the job so that they can be easily identified. In addition, they are all trained in clean workmanship – to keep their work area as tidy and organized as possible and to completely clean up once the job is complete. We understand that this is your home and must be treated with respect.